Micro-star International (MSI), the world’s best-selling gaming laptop brand, will be having a grand launching celebration of their newest MSI Concept Store on November 16, 2017. The new MSI concept store, is located at the 4th floor of Cyberzone, SM North EDSA Annex. 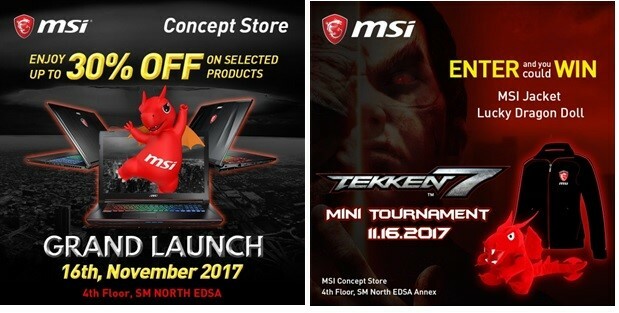 MSI currently have two concept stores located at the 4th Floor of SM Megamall and 2nd Floor Cyberzone of SM Mall of Asia. For now, check out what’s new in the MSI concept store and try for yourselves the latest MSI gaming notebooks.